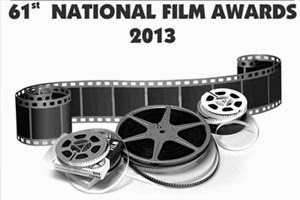 The 61st National Film Awards were held on Wednesday, April 16. The National Awards are perhaps bigger than any other film awards in the country. It adds a golden star on the shoulders of the film makers, actors and everyone who wins it! Much deserved Bhaag Milkha Bhaag won the most popular film and the best choreography award. I am not too sure about the choreography part, but it truly deserved the most popular film award. It was one of my favourite films of 2013. SHAHID! Many of you might not have seen this movie, but trust me on this, it is a masterpiece. I wasn’t surprised when it bagged two awards for best actor and best director. Rajkumar Rao is a brilliant actor and is here to stay! Jolly LLB was always an underdog film but had great potential. I loved the film and especially Saurabh Shukla’s performance, which bagged the award for the best supporting actor. Here’s the surprise! It was also named the best Hindi film. WOW! Apart from these, other winners were Madras Cafe winning for best sound design; Nagraj Manjule's Fandry won the National Award for the best debut film of a director. I, S. Vaikundarajan, congratulate all the winners of the National Film Award and hope that the coming year offers even better films and entertainment to all.